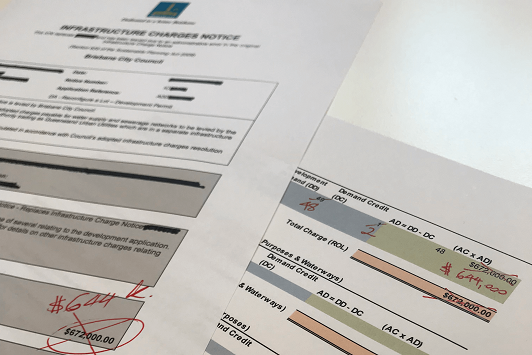 Integran | Have you checked your Infrastructure Charges Notice? 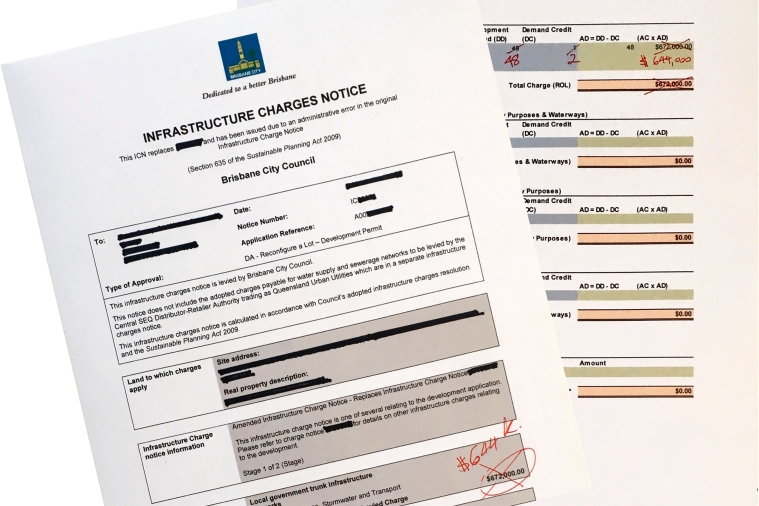 Are you certain that your Infrastructure Charges Notice (ICN) is accurate? Have you received full and appropriate credits for existing/previous lawful uses, or previously paid financial contributions? Have you received appropriate offsets for trunk infrastructure works conditioned as part of your development? Would you like to make representations to council regarding your ICN, or the incorrect/unreasonable conditioning of infrastructure works? Integran has noticed a concerning number of errors and miscalculations in ICN’s, working both in the favour of the council and the applicant, due largely to misinterpretation of the applicable charges resolution. There are provisions and requirements for ICNs under the Planning Act 2016 that councils do not always meet, particularly with respect to the recognition of demand credits for existing or previous lawful uses on a development site. Additionally, inconsistent and/or inaccurate application of Adopted Infrastructure Charges Resolution (AICR) processes is surprisingly common. These discrepancies or inaccuracies can have significant financial impacts on development, so it’s important to ensure your ICN is accurate. Integran has experience across a range of ICN issues, including reviews, requests for Negotiated ICNs and dispute resolution with councils. We aim to ensure that you receive full and appropriate credits for previous or existing uses, and offsets for the costs of any trunk infrastructure works conditioned as part of your development. We can also assist with trunk infrastructure conversion applications, charge indexation issues and offset calculations. To ensure your ICN is accurate and that you are receiving your entitlements under the Act, contact the Integran team and we’ll be happy to discuss how we can help your development.